Heart Cupcake Toppers - Gold Glitter - First Birthday Party. Bridal Shower Decor. Wedding Cupcakes. Anniversary. Valentines Day. 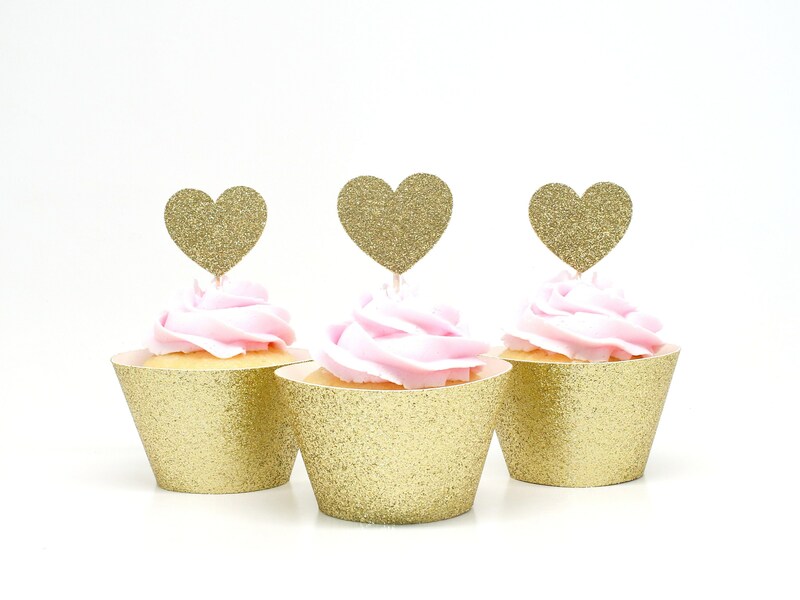 These gold glitter heart cupcake toppers are perfect for weddings, baby showers, bridal showers, birthdays, or as decoration for any party! • Select from drop down list. • Single-sided toppers are glitter on only one side. Quick shipping. Cute in person (just like the pictures). Thanks! Just as described, would recommend.